Whether you need a brand new website or want to improve your existing site, we can help you.We build your website and help you achieve your business objectives. We design beautiful websites using powerful content management systems (CMS) like WordPress and adhere to good Search Engine Optimisation (SEO) principles. We develop custom web applications to satisfy your unique requirements. 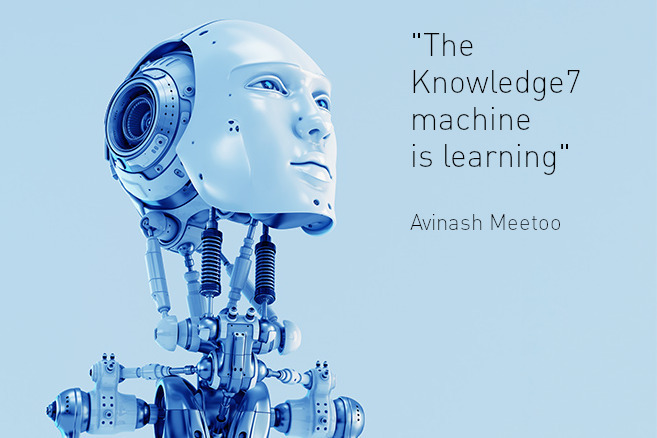 We have expertise in proven open source software and standards like PHP, Python, jQuery and MySQL. We develop Facebook applications which leverage the Facebook platform and ecosystem of local and foreign users. We help you engage with your customers in a modern way and increase conversion rates. Finally, we manage domains (i.e. yourcompany.com, yourcompany.mu, etc.) and provide hosting services on our secure servers running on the cloud. 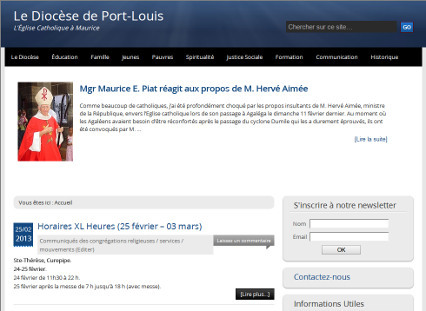 The website of the Catholic Church of Mauritius: the design as well as the complete information architecture was done over a period of three months. 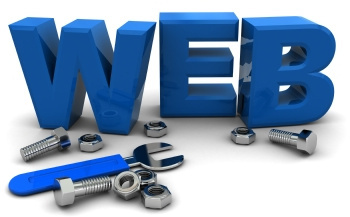 This major website has hundreds of webpages and follows sound SEO practices. 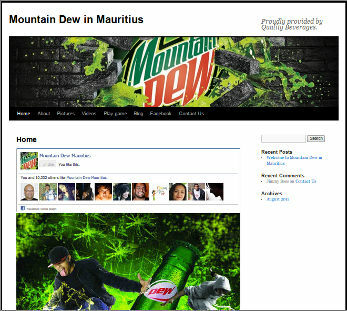 MountainDew in Mauritius: this website was set up to promote Mountain Dew in the island. One important aspect is the integration of Facebook within the website. 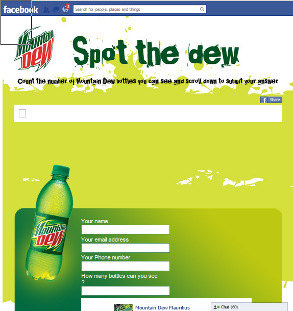 Spot the Dew: a Facebook application designed to allow fans of Mountain Dew to participate in a game on Facebook. Thousands of people used it over a period of three months. 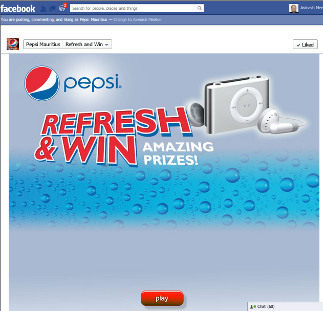 Refresh and Win: another Facebook application to promote Pepsi in Mauritius. The game, which attracted many Facebook fans, leverages the increasing number of Mauritians on Facebook.